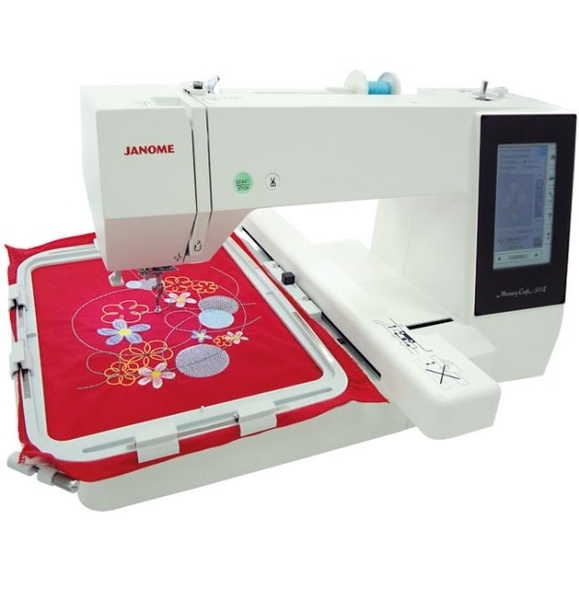 Home > Embroidery Machines > Janome Embroidery Machine >Janome Memory Craft 500E Embroidery Machine. 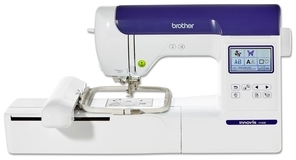 Normally £1499, Save £200. 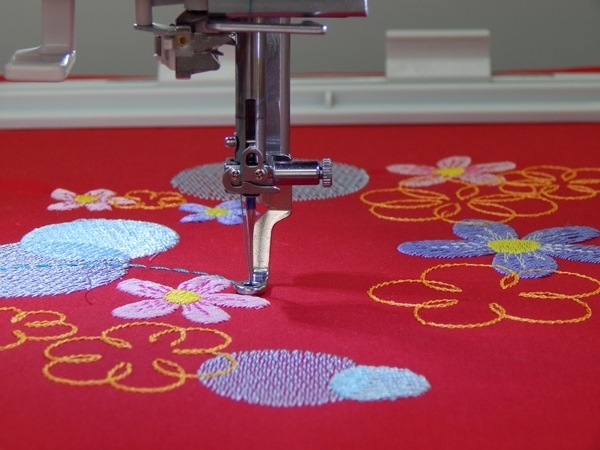 Embroidery Speed: 400 – 860 s.p.m. 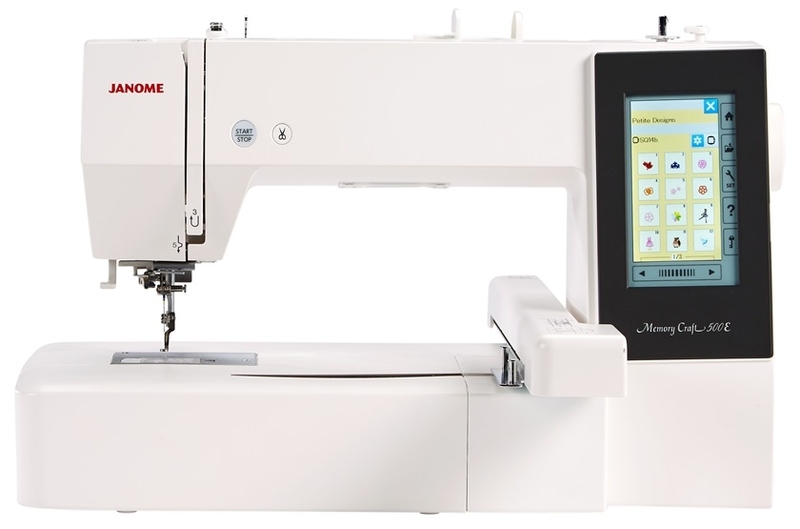 Answer 1 : The main differences between the two machines are the following: The MC500e has More embroidery patterns with 160, it also has a colour screen, Worldwide voltage, personal storage files and a larger embroidery area of 200 x 280mm. 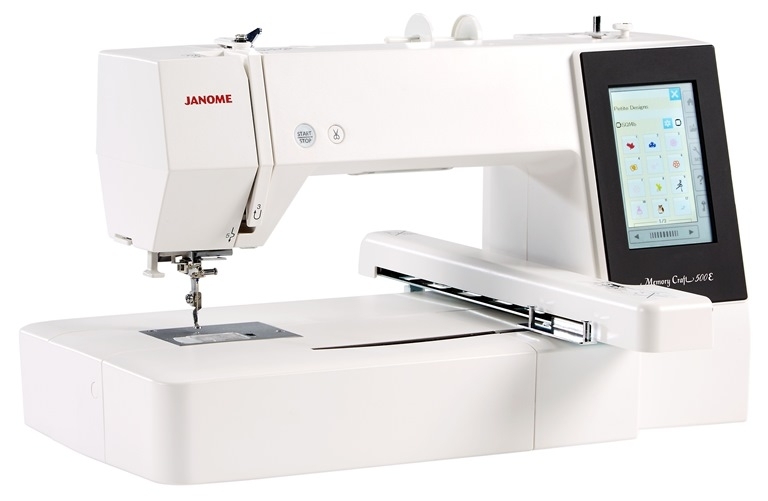 What languages can be used on the Janome 500E? 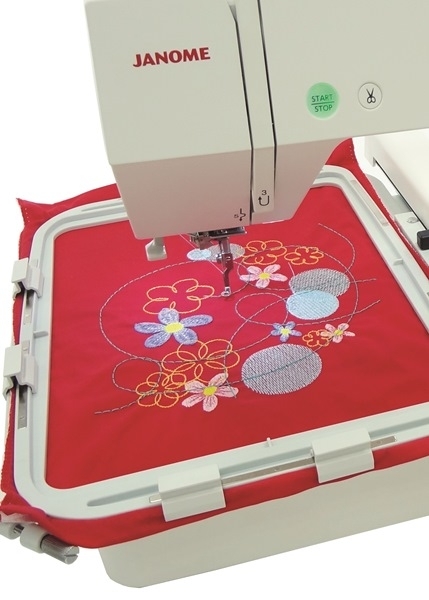 This is a fantastic embroidery item, with countless designs and plenty of fonts. 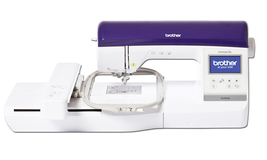 I love how spacious the embroidery area is and how I can use the colour touch screen to edit my designs! 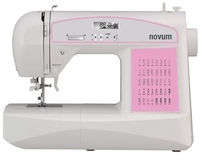 Great instructions in manual and DVD provided, makes it so simple to use. 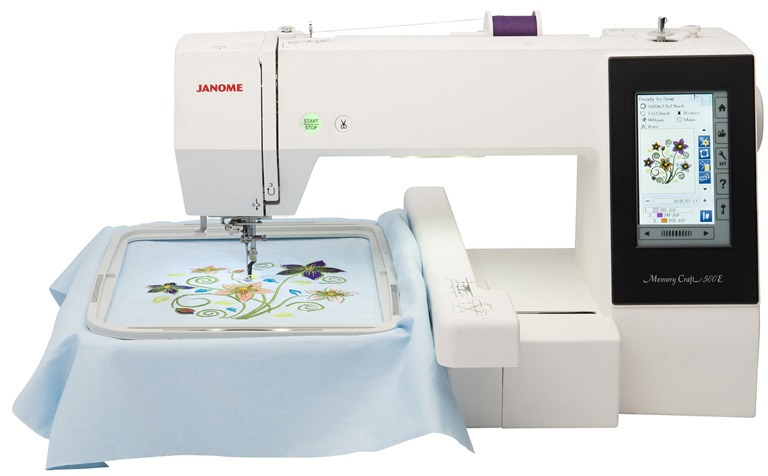 The Janome Memory Craft 400E makes it easy to personalize, embroider and monogram items for home décor, garments and accessories. 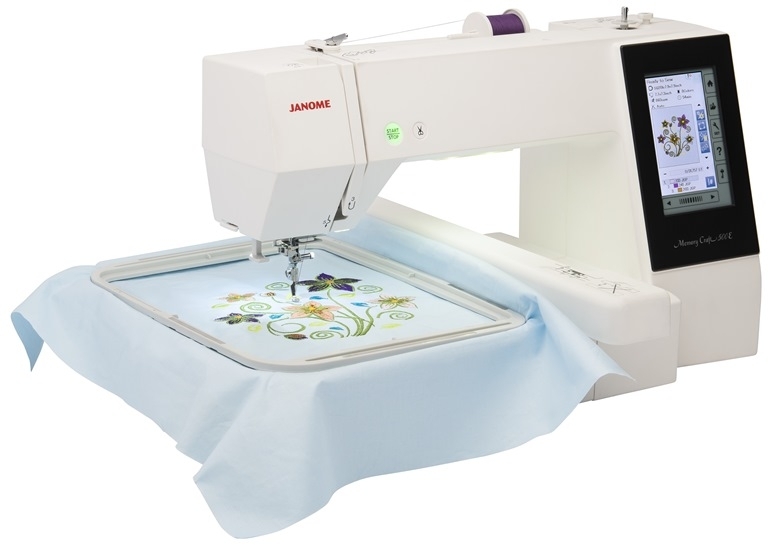 With 160 built-in embroidery designs, 6 monogramming fonts displayed on a full colour LCD touchscreen and with a USB for importing designs, the opportunities are endless with this machine. 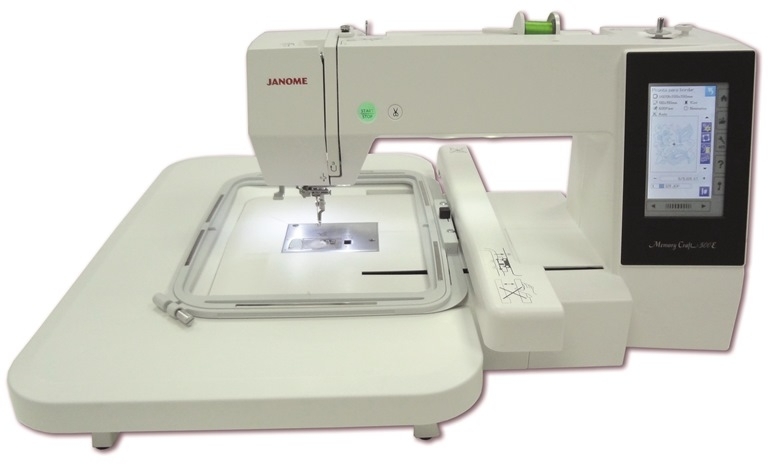 The Janome MC400E has a maximum embroidery size of 7.9” x 7.9” and it comes with an extra wide table for expansive workroom. 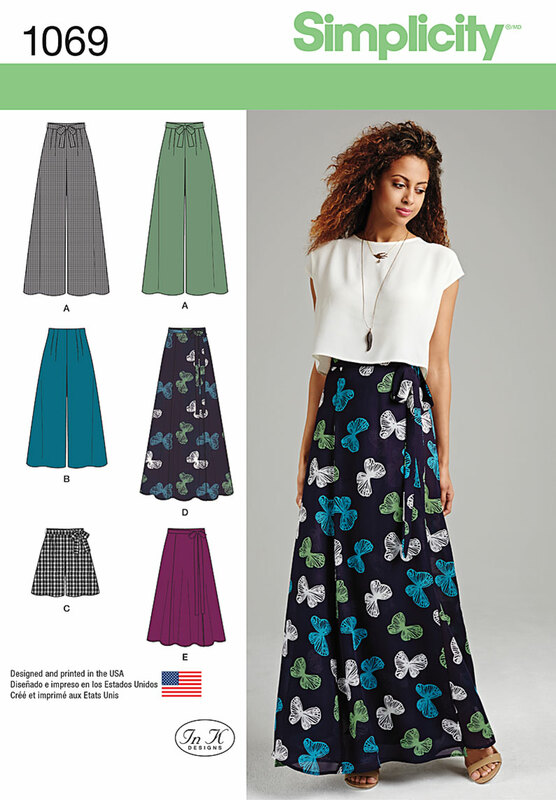 Four additional hoop sizes are also available. 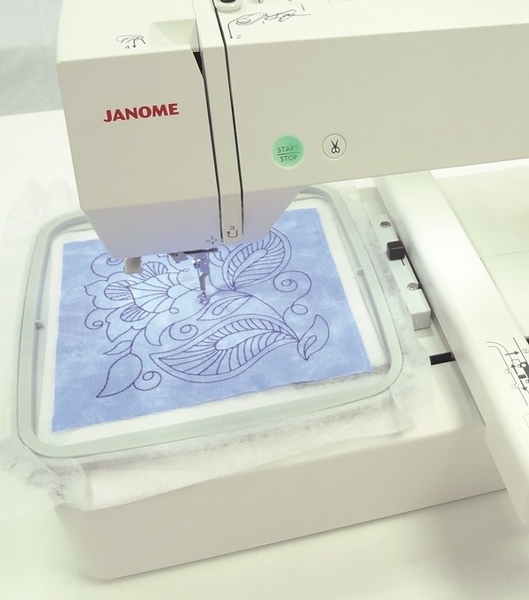 This innovative embroidery machine also has on-screen editing functions - enlarge/ reduce, rotate, flip, drag and drop, arc, combine, copy and paste, grouping, corner layout, single colour sewing, zoom . 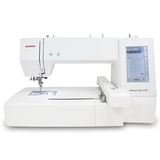 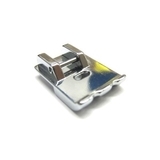 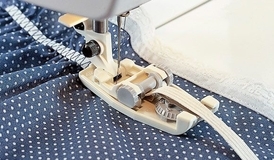 Every designer will love these efficient features such as a built-in advanced needle threader, automatic thread cutter, easy set bobbin, bobbin winding plate with cutter and a bobbin thread sensor. 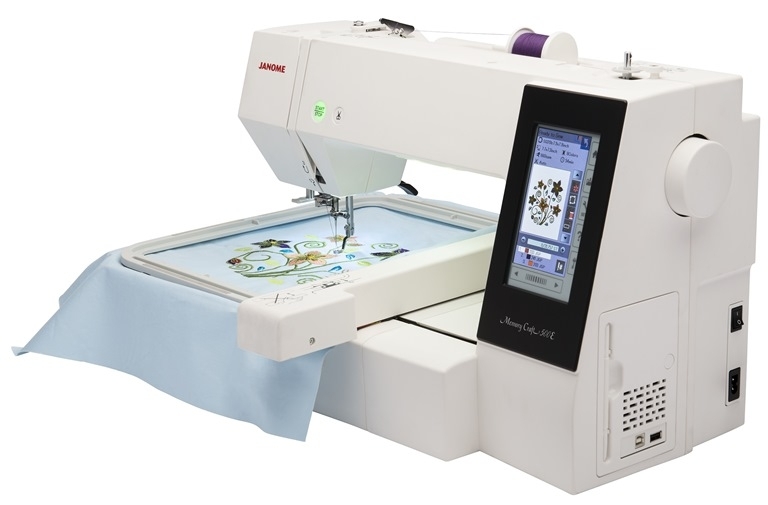 The Janome Memory Craft 400E makes it easy to personalize, embroider and monogram items for home décor, garments and accessories. 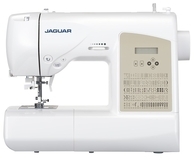 With 160 built..